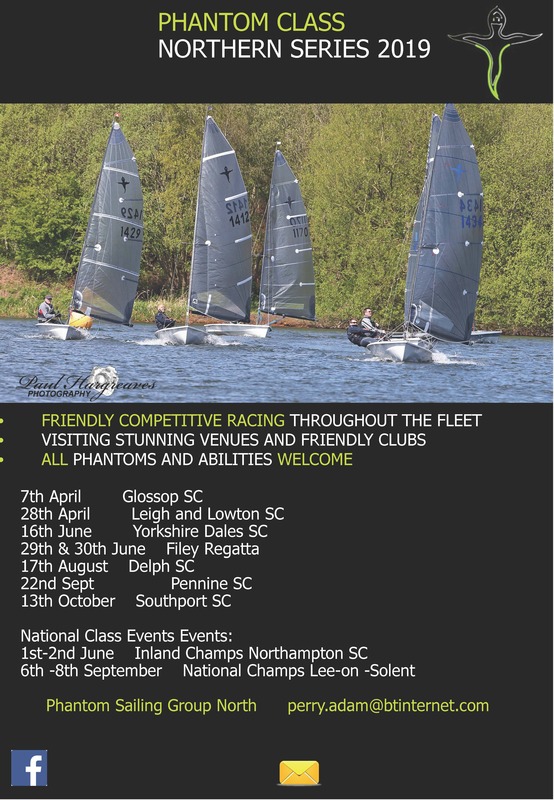 Phantoms at Alton Water Sports Centre 23rd-24th March sponsored by Fox’s Chandlery. 16 Phantoms competed, to show that the fleet is very much alive and sailing in South East Suffolk, as in other places in the country. with 8-10 knots predicted. The draw back was that this rather shift-prone piece of water became incredibly so, with wind shifts of up to 90 degrees making for a snakes and ladders experience. 1st to find more ladders than snakes was Bob Portway(1334), extending a snakes worth of lead over Adrian Coatsworth (1448) and Chris Roberts (1395). In the second race it was Chris’s turn, although Adrian was a threat throughout, while Bob and Ben Falat were distant in 3rd and 4th. 3rd (last of the day) race saw the biggest shifts of the day. Having made a Port tack flyer on a huge Port lift, Adrian was able to consolidate when the wind lifted 90 degrees on Starboard. For the remainder of the race, the beat became a beam fetch, while the final reach of the square course became a beat. Moving up the fleet in the firmer wind, John (Titch) Wayling showed great speed, but was unable to break past Ben and Bob, having their own battle for 2nd. Ben held on for 2nd from Bob and Titch. The following days’ 8-10knot WNW was also shot through with holes and huge shifts, and this time the beat being longer gave more ‘riding-the-snakes’ opportunities. Bob again avoided the holes and headers better than most, to bag a 1st, while Adrian surrendered an early lead to end up 6th. Terry Crook(1464) was a new name near the front, with a 2nd, from Chris and Ben in 3rd and 4th. Bob repeated the consistent progress to win the 5th race, and with Adrian 2nd, the overall result was still open between these two. Eric Howe (1404) looked to have had a good race, crossing 2nd, but the deafening silence confirmed his OCS status. as 2nd place was easily enough for overall success. to suit the shifting wind. Also very grateful to Fox’s Chandlery for sponsoring the event. in existence at Alton Water. 1. 1334 Bob Portway AWSC/RHYC 8. Fishers Green Eastern Region Phantom Open meeting 6th April. 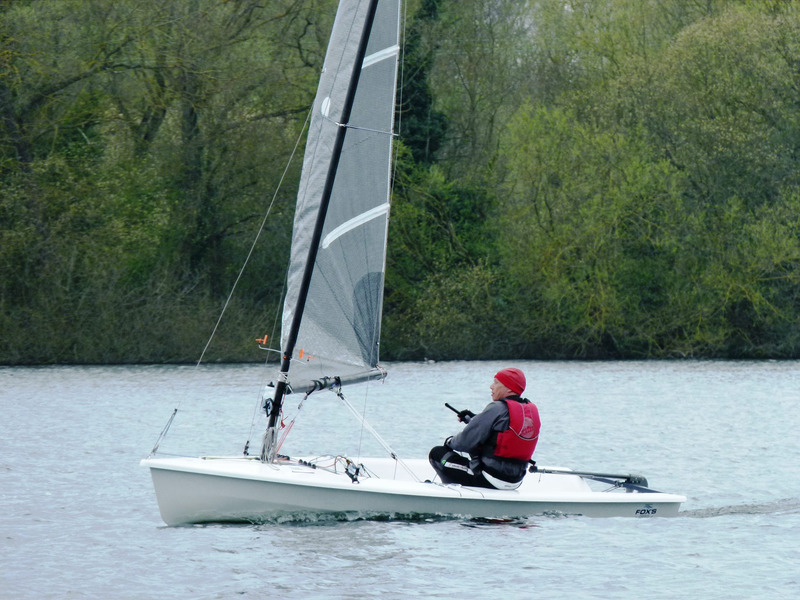 The second event in the ever popular Phantom Eastern Series took place on Saturday 6th April at Fishers Green Sailing club in the beautiful Lee Valley National Park near Waltham Abbey. 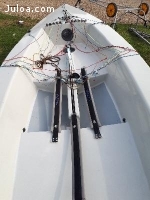 The competitive fleet of 16 boats included the usual travelling circus of Creeksea SC boats, whilst the growing home fleet was supplemented by club members borrowing boats to join the event. Travellers from further afield included Steve Popple from Shoreham who had taken a brave pill to join the Eastern Circuit at an inland venue. Race officer Godfrey Clark and his stalwart team of assistants and rescue boat crews did a fantastic job dealing with running the racing for the Phantoms and their smaller single handed friends in the Comet class at this joint event. The wind direction was predominantly from the North East but shifty and of variable strength. Committee boat starts and additional temporary marks allowed good courses to be set and the racing format of four races with a lunch break allowed the fleets to enjoy an excellent hot meal and catch up on the betting odds for the Grand National. If the bookies had been running a book that on the Phantom fleet it's fair to say that they would have been pleased to see the strong showing in race one of outsider Steve Popple, who seemed to revel in the challenge of a more "intimate" water and showed well in the early running. After very close racing throughout the fleet it was Matt House from Alton Water that made the race look easy and took the win from the bookies favourite and club mate Bob Portway. 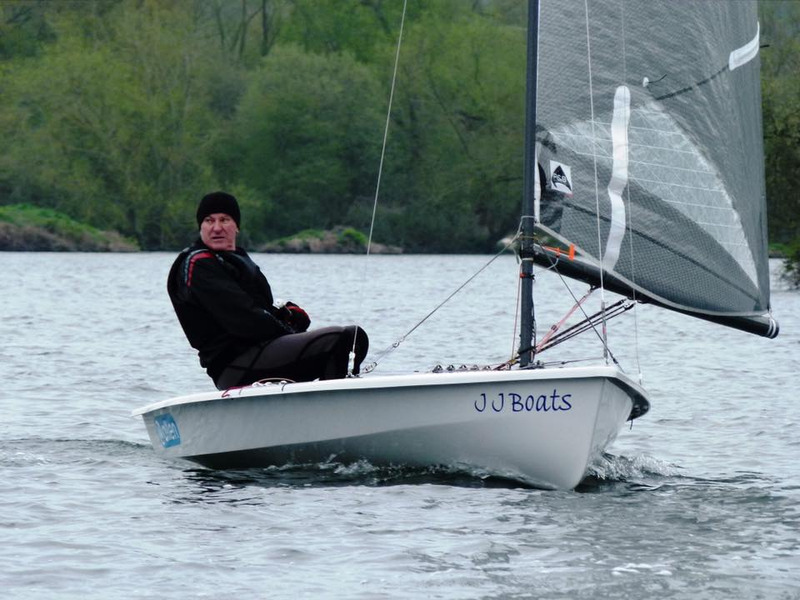 Paul Rayson borrowing Ken Daniels "Red Devil" took a well earned third place and must surely be scanning the adverts for a boat of his own. 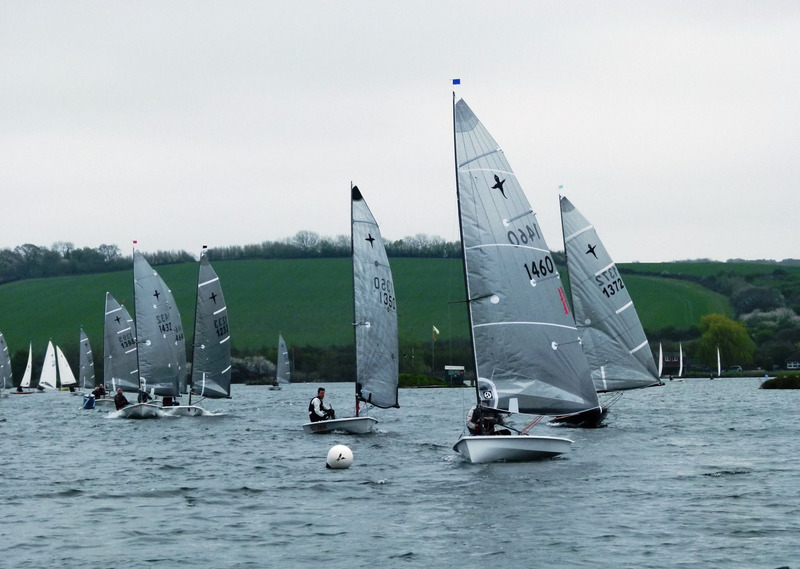 Race 2 followed swiftly after the final Comet had completed their race and the quick turnaround was welcomed as the weather was distinctly chilly. 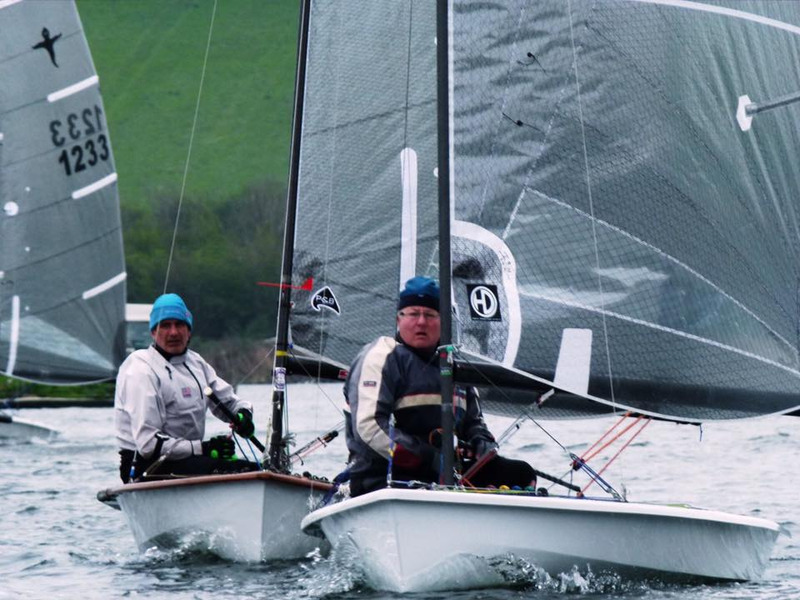 Despite a biased line meaning a late rush to the pin end, the fleet managed to get away and close racing swiftly resumed with borrowed local boats continuing to get amongst the leaders and showing great potential. Bob Portway took a commanding lead and held on to win from Rayson with Creeksea's new boy Terry Crook in third place. 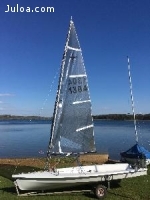 After lunch the start of Race 3 saw an over eager fleet well over the line towards the favoured pin end leaving the Race Officer with no alternative than to recall the fleet and let the well behaved Comet fleet enjoy the start of their racing in clear water. The second start for the Phantoms got away cleanly and saw Portway win again keeping ahead of a challenge from Roberts and House. The final race of the day saw one or two non-starters who felt that they had either suffered enough or wished to follow the horse racing in the comfort of the heated clubhouse. Local boats were again making a good showing and it soon became clear that this was no flash in the pan when Cristian Hill sailing a beautiful classic Claridge woody belonging to Paul "Round the World" Bidwell took the lead and held off Roberts for much of the race to take the gun ahead of Portway, House and Roberts. With two wins and two seconds it was a clear win for Portway with Matt House also clear ahead in second place. 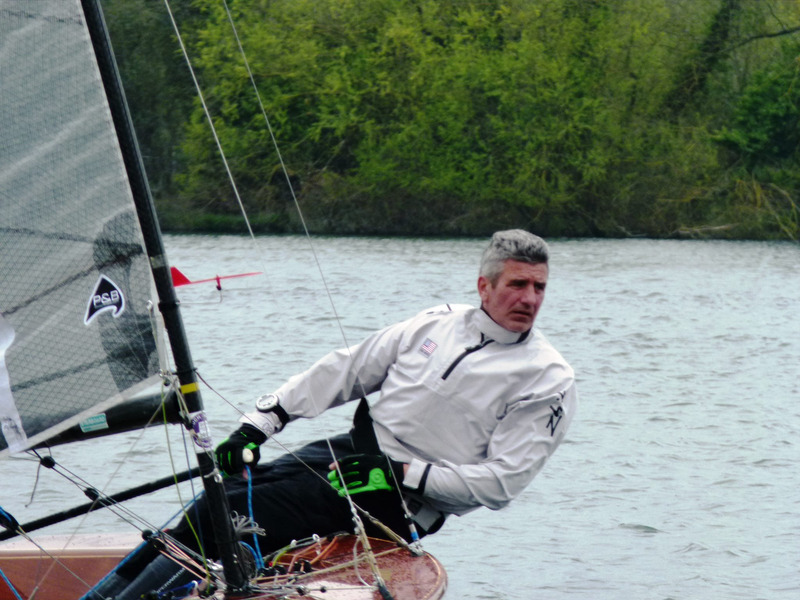 The next four boats were separated by a nautical horses head of five points with Paul Rayson taking third place for the home club. After racing the fleet were treated to a splendid free buffet and the thanks to the club of the respective fleet winners were echoed by all. 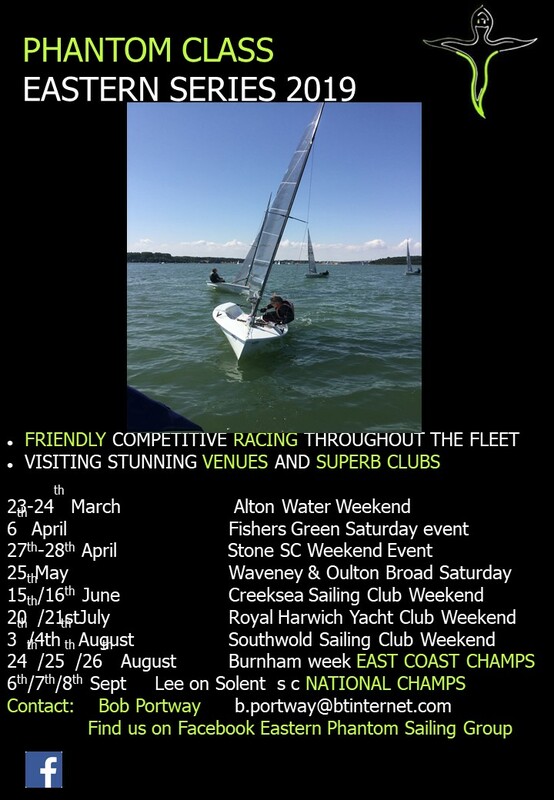 The next event on the Eastern Circuit is a two day event at Stone Sailing club on the Blackwater Estuary and is set up to be a "must do" event for the whole class. 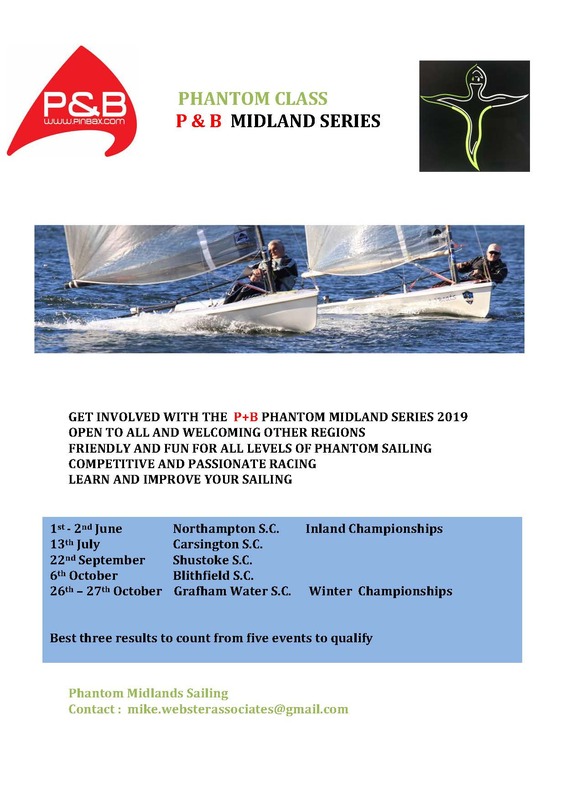 We start our Southern Travelling Phantom series with a foray to the Cotswolds again at Bowmoor SC and we are expecting to see a few of the new boats that have been ordered over the winter. Anyone new to Phantoms this is a great place to meet the people with the knowledge to help you get started. Dont be shy you'll love it. A relaxed club with recent new clubhouse, fabulous balcony and all the usual facilities . It will be an 11.00 start and we have the water to ourselves. Unfortunately the club has had to cancel the meeting due lack of interest. The Solutions that we were sharing with had already cancelled for the same reason.